Dr. Pak Loharnshoon of the Royal Thai Army visited the boys in the hospital. 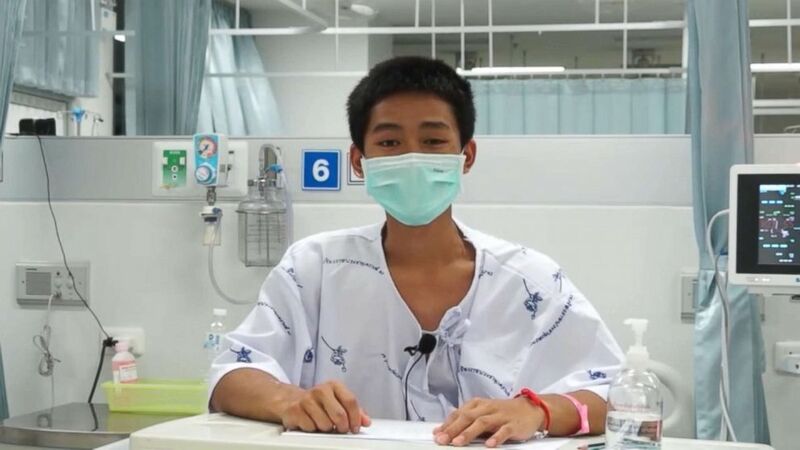 (Thailand's Ministry of Public Health) Adul Sam-on, 14, appears in a video message from a hospital in Chiang Rai, Thailand, July 13, 2018. (AP) This image made from a video taken on July 13, 2018 and released by Chiang Rai Prachanukroh Hospital, shows Ekarat Wongsookchan, one of the 12 boys rescued from the flooded cave, in their hospital room at Chiang Rai Prachanukroh Hospital in Chiang Rai province, northern Thailand.